Feel like your yard is missing something? Add detail and dimension with an attractive DIY concrete retaining wall. Although I was a bit hesitant to take on a retaining wall construction ourselves, it seemed pretty doable once we learned how to do it. Don’t get me wrong. Hauling those concrete blocks was no picnic, but I got my workout in for a couple of weekends and have an attractive wall to show for it too. Read on for your guide to how to build a cinder block retaining wall with rebar. A bonding element made up of water, sand, and cement and used as a ‘glue’ for masonry projects. 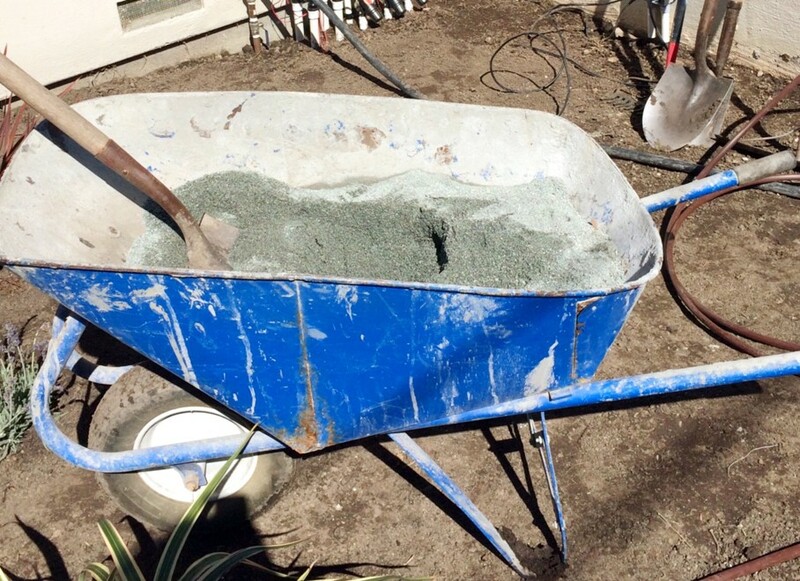 Your local home improvement store can help you pick out the right concrete and mortar mixes for your project. Shorthand for “reinforcing bar,” rebar works as a tension device to keep reinforced concrete structures strong and in place. Consult your local planning department for what sizes will work best for your particular project. To make sure your planned project is on the up-and-up, contact your local planning/building department. Depending on where and how tall you want the wall, you may need a permit, or there may be certain structural or drainage regulations you need to follow. You may also need to take setback restrictions (how close to your property line the wall can be) into consideration. Finally, it’s a good idea to check in with your local utility company to make sure there aren’t any pipes, wires, or gas lines you’ll run into when you prepare your wall’s foundation. 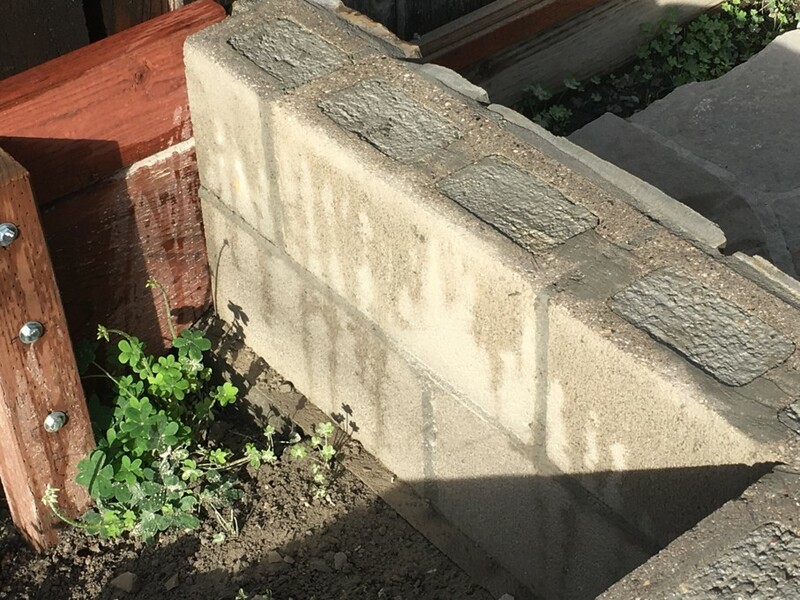 Traditionally, retaining walls were built with standard concrete blocks known as CMUs (concrete masonry units), or “cinder blocks,” as they’re more commonly known in the U.S. Typically measuring 8-by-8-by-16 inches, these hefty guys feature two openings (AKA cells) that help stabilize the wall with the help of rebar running through them. Because they’re not very attractive on their own, cinder block retaining walls are often covered with some kind of stone or manufactured stone veneer. By itself, a cinder block retaining wall doesn’t cost much with the expense of each cinder block running only about $1 or $2. The additional cost of the veneer ranges dramatically depending on factors such as stone type, stone quality, and whether you opt for natural or manufactured stone. The good news is that by building the wall yourself, you’ll save hundreds of dollars in labor costs. More recently, split face blocks were developed to save you the extra step of laying the veneer across the CMUs, making it a good choice for an easy retaining wall. This variation of the standard concrete block is manufactured so that one side is textured to look like rough stone, and comes in a variety of colors beyond concrete gray. These blocks are typically a much more economical option because they still only run about $2-3 apiece without the additional need of an expensive veneer. Unfortunately, I fell in love with a particular stone veneer, so we went the route of standard cinder block plus veneer, as you’ll see in the next steps. Regardless of block type you choose, to figure out how much to buy, you’ll need to figure out the dimensions of your wall project. Use a shovel to mark in the ground where you want the wall to be built and plot the area with wooden stakes no more than about 7-8 feet apart. Tie a string across the stakes at the height you want the finished wall to be. Once you have that set, measure the length of your desired wall and divide that number by the length of each individual block. For example, if you were making a wall 32 feet long, first you’d multiply 32 by 12 to get the total inch count (384 inches), and then divide the inch count by the length of a single block. So, if we’re using a standard cinder block of 16 inches in length, we divide 384 inches by 16 inches to figure out how many cinder blocks we’ll need for the bottom row of blocks in our wall. In this example, we would need 24 cinder blocks for the first row. Now, depending on how high you want your wall to be, multiply your lengthwise cinder block figure by the amount of rows you’ll need to reach the height of the string. To continue our example from above, if we’re using cinder blocks of standard dimensions and want our wall to be 6 feet high, we multiply 6 by 12 to get the total inches in height, and then we divide that number by 8 (the height in inches of each individual cinder block). In this case, our calculations show that we would need 9 rows of cinder blocks stacked atop each other to reach 6 feet in height for a wall measuring 32 feet in length. The exact type of foundation you need will depend on the size and purpose of the wall you’re building (e.g. 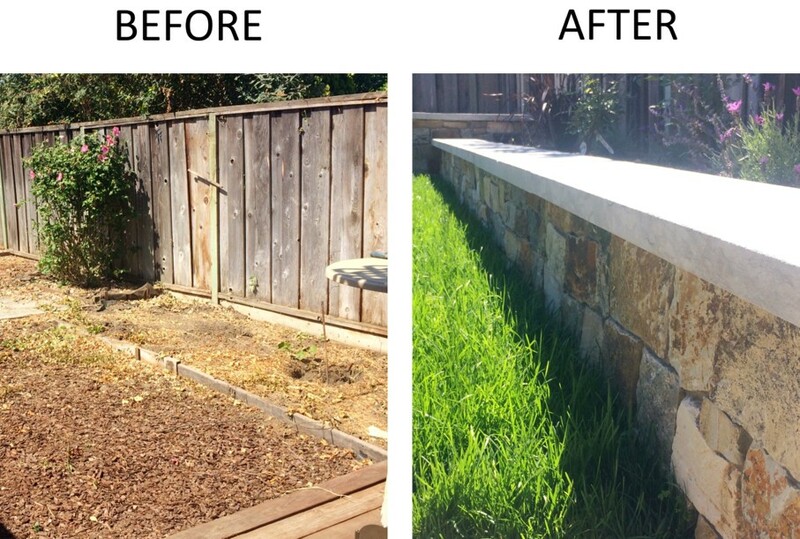 a decorative garden wall vs. a retaining wall holding back a slope). Your local planning and building department should have specific guidelines for you to follow, or you can consult with a structural engineer on the nitty-gritty details. 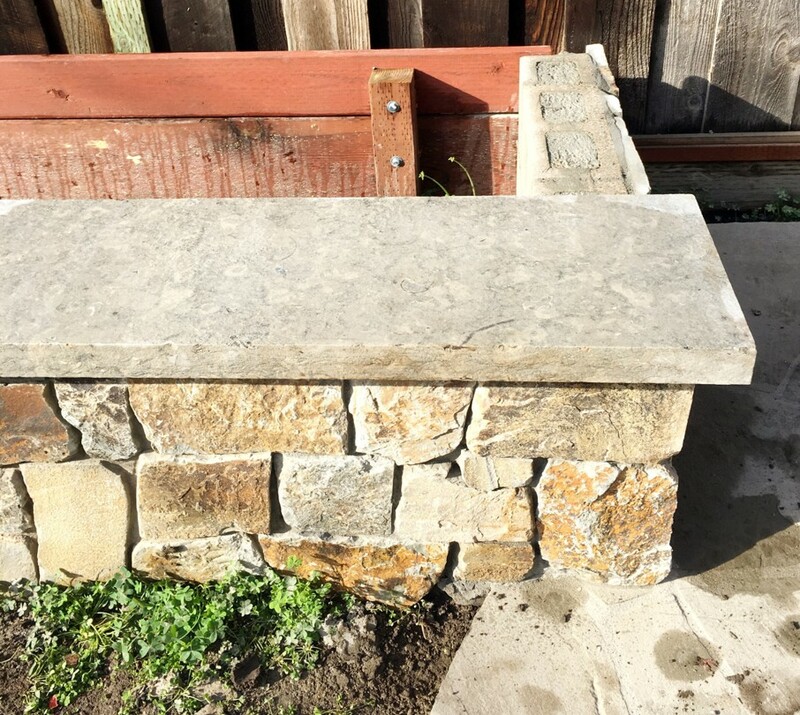 Typically, what you’ll need for your wall is to create a footer, a solid foundation for your concrete retaining wall consisting of a footing trench, rebar, and poured concrete. First, dig out a trench about 12 inches deep and double the width of a single block. If we’re using standard-size cinder blocks, the footing trench should be 16 inches wide. Use a tamper to compact the dirt and use a level to make sure the area is reasonably flat. Remove or add tamped dirt to adjust as necessary the level of the trench’s bottom. Next up is the rebar, which will act as vertical reinforcement for your cinder block retaining wall. Again, check in with your local building department for the most accurate rebar size and spacing guidelines for your projected wall. Generally speaking, you’ll be bending your rebar into L-shapes so that the long edge can stick up vertically through the cinder blocks and the short edge can be rooted in concrete. Don’t forget your gloves and safety glasses! While bending rebar is possible without professional equipment, renting a rebar bender is highly recommended for this step. Once bent, each L-shape should end up with a long edge about the height of the wall and a short edge of 12 inches or so. Once your rebar is prepped, mix up your concrete and pour into the trench, filling up to about 2-3 inches from the top. Then, place your rebar Ls into the concrete with the short end facing the outside of the wall. Push each piece to the bottom of the concrete and make sure it sticks up vertically. Installing your rebar in increments of 32 inches (or every other cinder block) is standard, but just make sure your rebar spacing will work with the size block you’re using. Fill in the trench with concrete and let set for 3-7 days. It won’t be completely cured for nearly a month, but it’ll be hard enough for you to continue with your project. It’s possible to dry stack your wall, but for extra stability (I live in earthquake country), start with an even layer of mortar and then lay your concrete blocks side-by-side upon it. Place blocks through the upright rebar where appropriate. 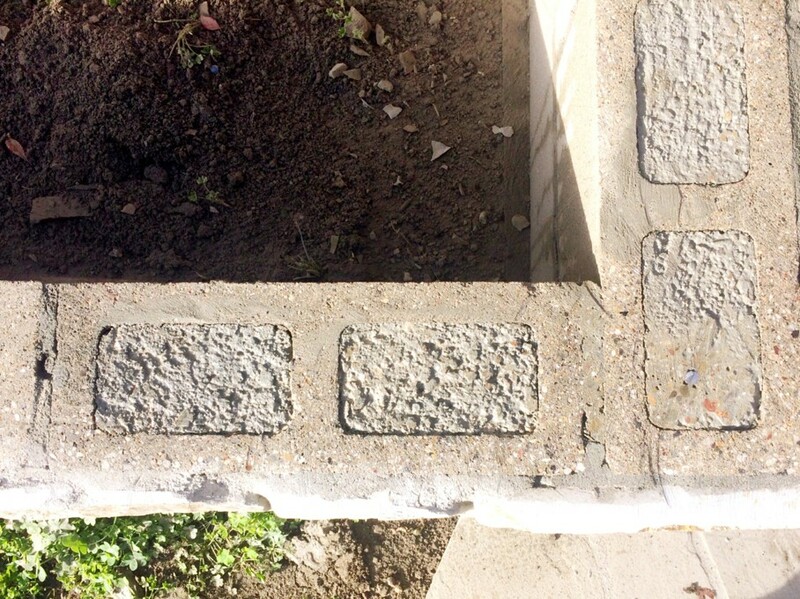 If desired, apply a thin layer of mortar in between blocks with a trowel. Use a level as you go along and a rubber mallet to make slight adjustments where needed. When your first row is complete, move on to the second row, and so on and so forth until the wall is the height you desire. 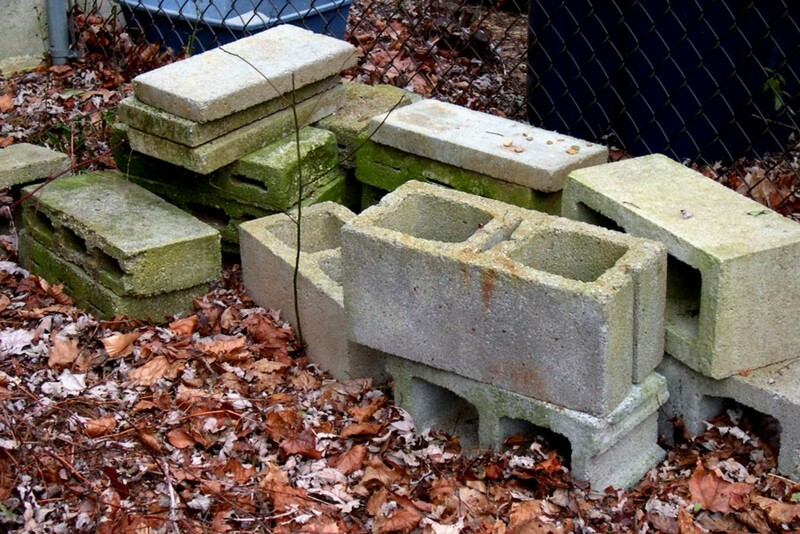 At the end, fill the holes in the cinder blocks with gravel or more mortar. The final steps of your simple block retaining wall depend on how you want to finish it. If you used standard cinder blocks, you’ll probably want to add a capstone and a veneer. If you opted for split face blocks with a natural stone look already, you might just need a capstone, and you’re done. Learn more about using concrete in interior design here.